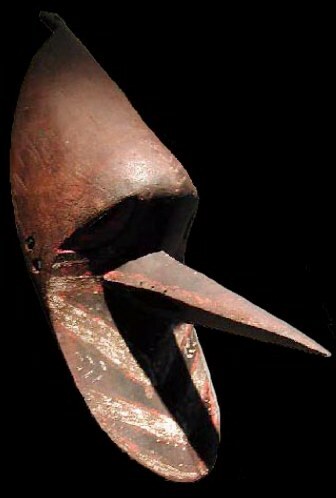 This rare Sepik coastal, Barag mask. An excellent example of this classic form has good age and nice remains of traditional pigment. It is 19", dates from the 1940s and is mounted on a custom display stand.